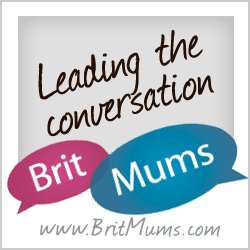 As a blogger I have been lucky enough to work with lots of great brands and Mattel is no exception. 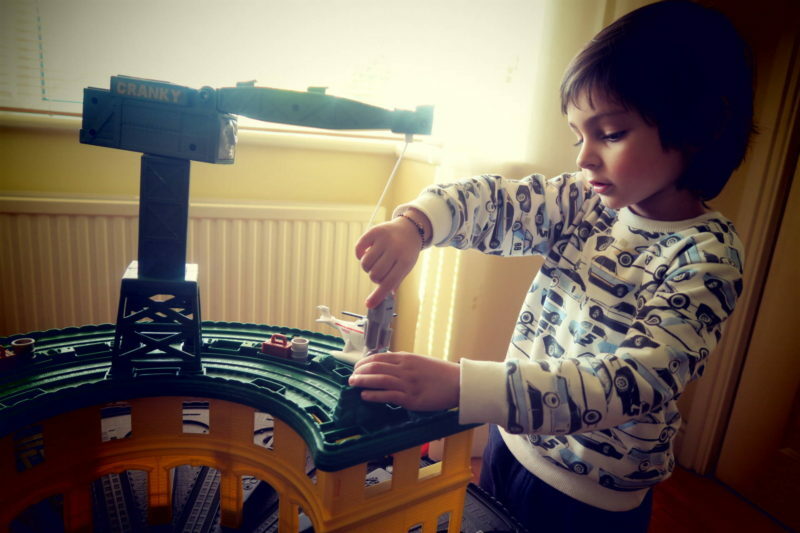 I was recently asked if I would like to review the Thomas Super Station with my train obsessive son and of course the answer had to be a YES PLEASE! 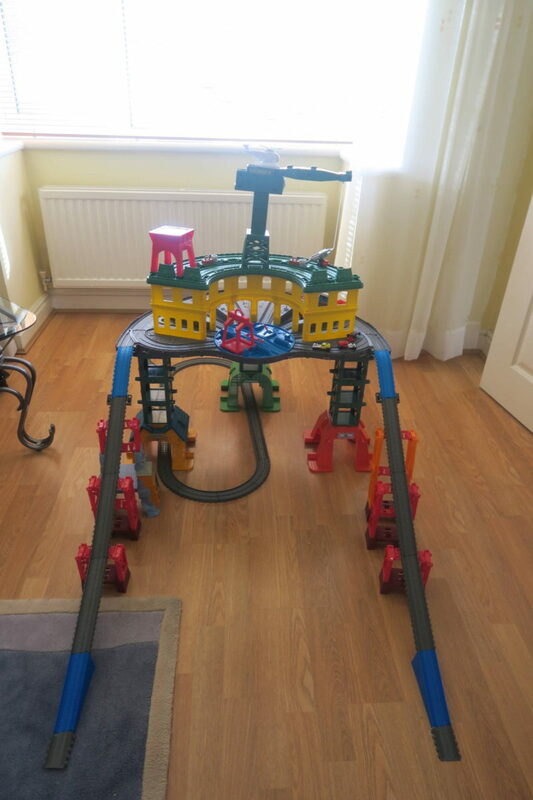 Thomas has been a firm favourite at Along Came Jay HQ for quite some time and when we opened the box we were all taken back by the scale of this train set it really is epic! I went on to hear lots of “wows” and “look at this mummy” it’s fair to say Autumn is already beginning to feel very Chrismassy. Taking all the items out of the box took about ten minutes. I opened the instructions booklet and initially thought it looked a bit too complex for my eyes “How on earth am I going to put all of this together” came to mind. But to my relief it was incredibly easy as all the parts are marked by letters and numbers and then it’s simply a case of choosing your track of choice to construct. 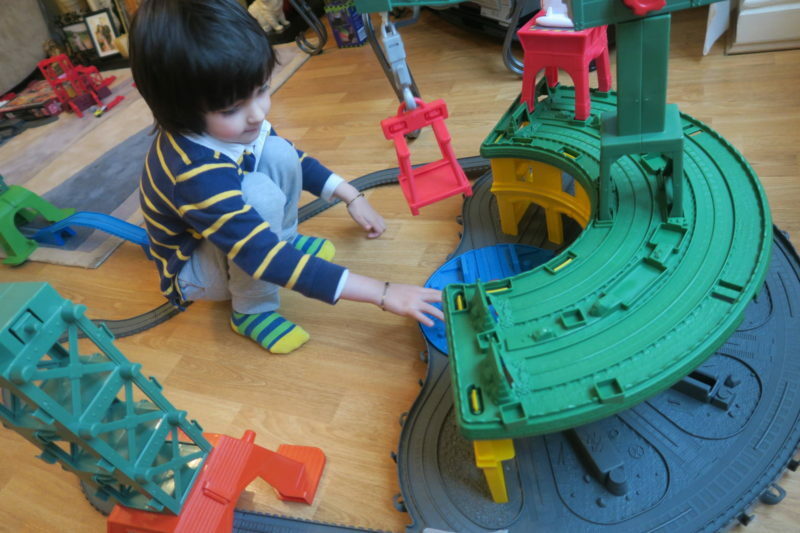 There are four outlined in the booklet but the playing options are of course endless as there are 10 metres of track! 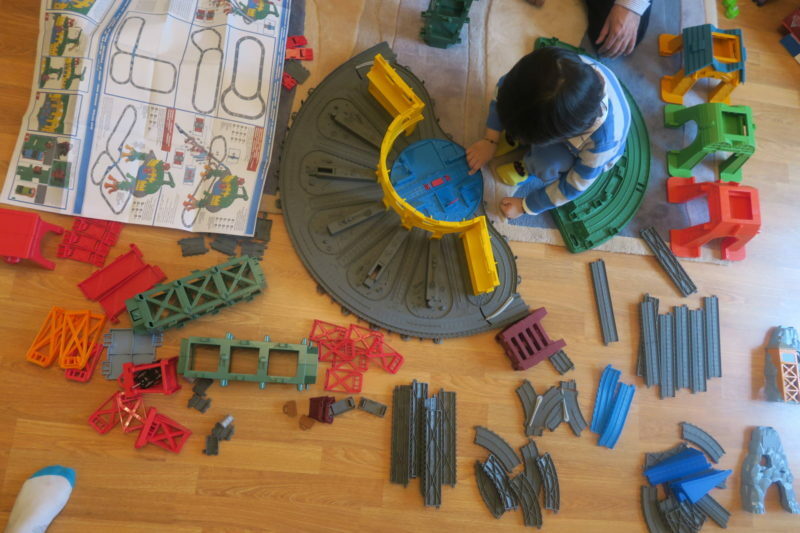 This is one incredibly fun play set that really will keep toddlers and adults occupied. 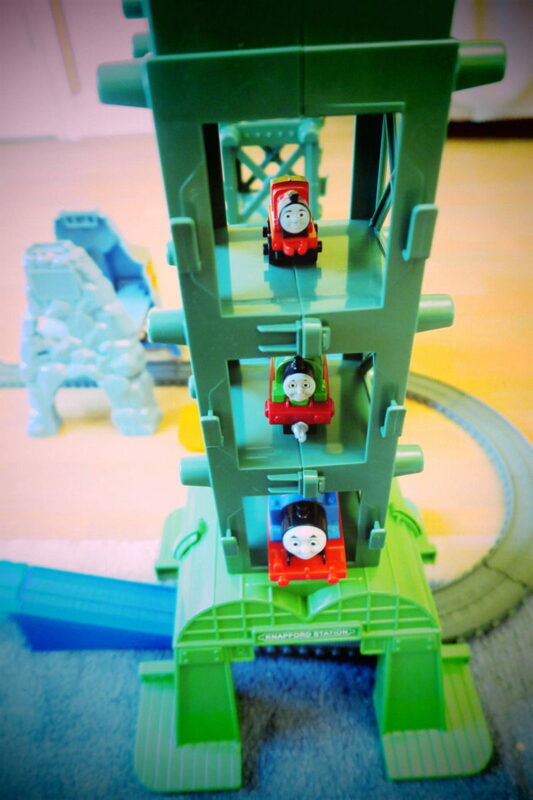 It comes with three trains Percy, Thomas, James and Harold the helicopter but it also compatible with Thomas & Friends engines, TrackMaster, Adventures, MINIS or wooden railway toys with room for storing over 100 engines. Building it was a lot of fun plus Jay loved it as he was able to recognise the letters and numbers on the parts and pass them to me with ease. 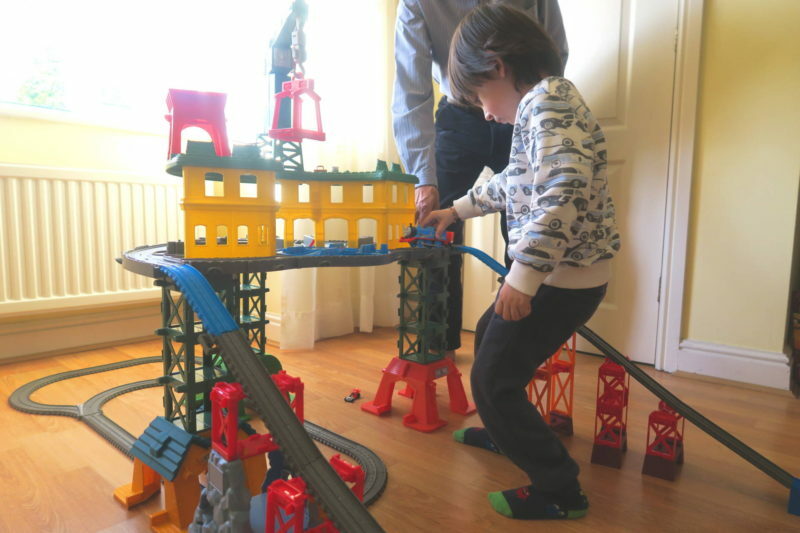 It is the sort of set that he would perhaps struggle to assemble all by himself but he was able to put some of it together with guidance and we built the dual race track pictured on the box first. 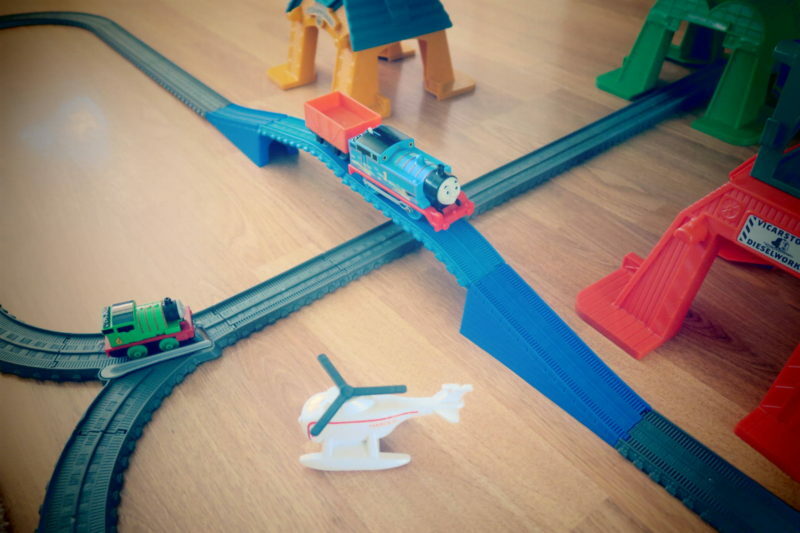 Every day we build a different track and it’s definitely a toy he rushes to first thing. 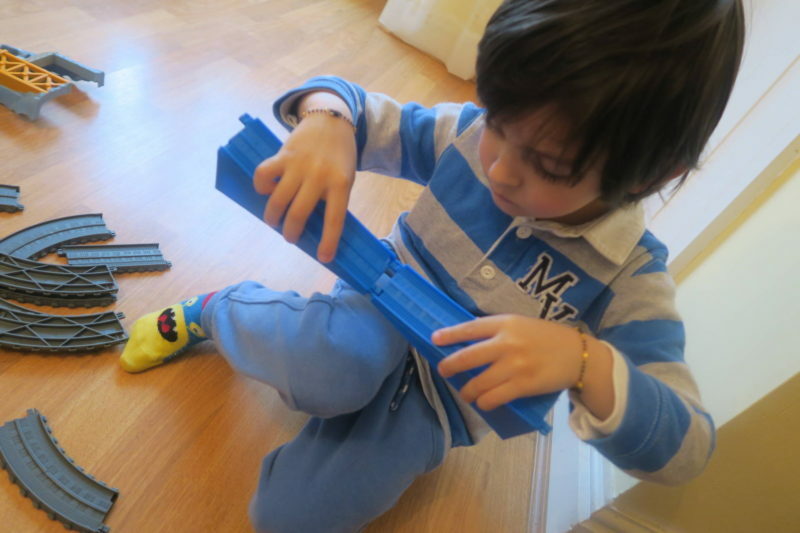 At 3 he is definitely very much into constructing things and this really suits him. 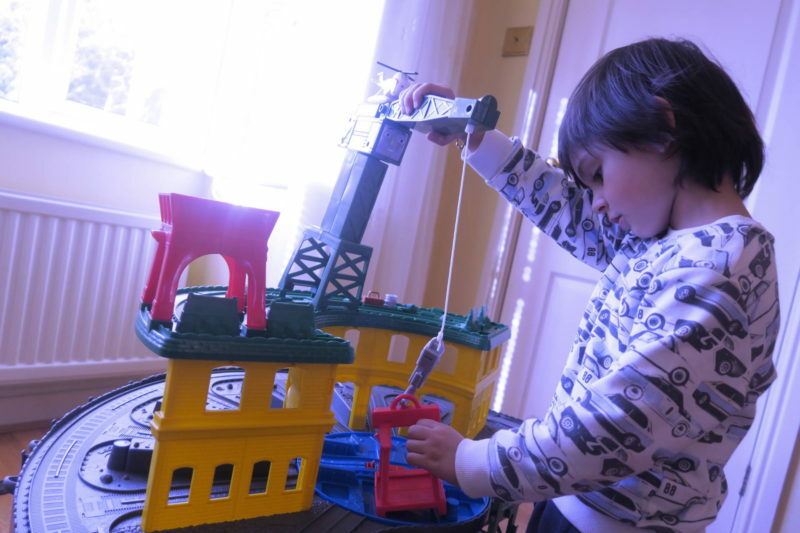 Jay enjoyed operating Cranky’s crane lifting and moving engines I think that’s his favourite part. 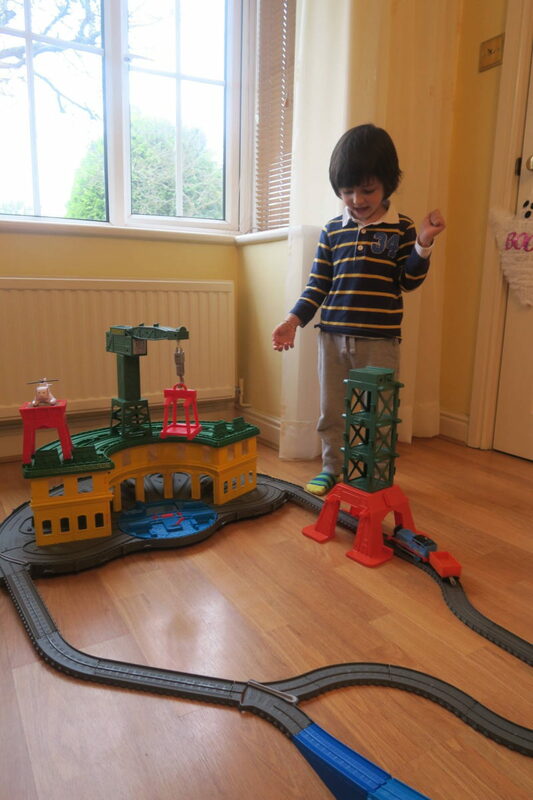 The set features locations such as Tidmouth sheds, Brendam docks, Knapford Station, the Sodor Steamworks, the Dieselworks, and Blue Mountain Quarr. My only negative is that due to the many pieces of this set you need a large space to set up and then storage to keep the pieces together. I’ve bought a storage box for this purpose. 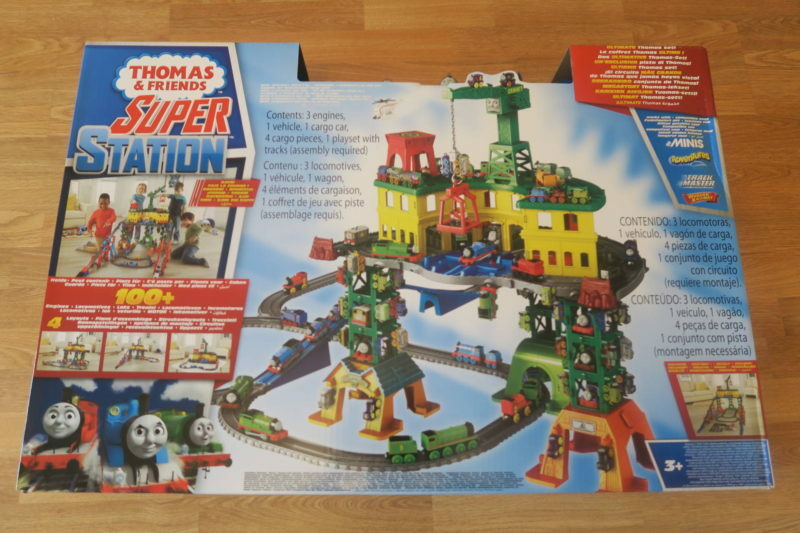 I would highly recommend the Super Station as it offers multiple configurations and can work with various Thomas toys. 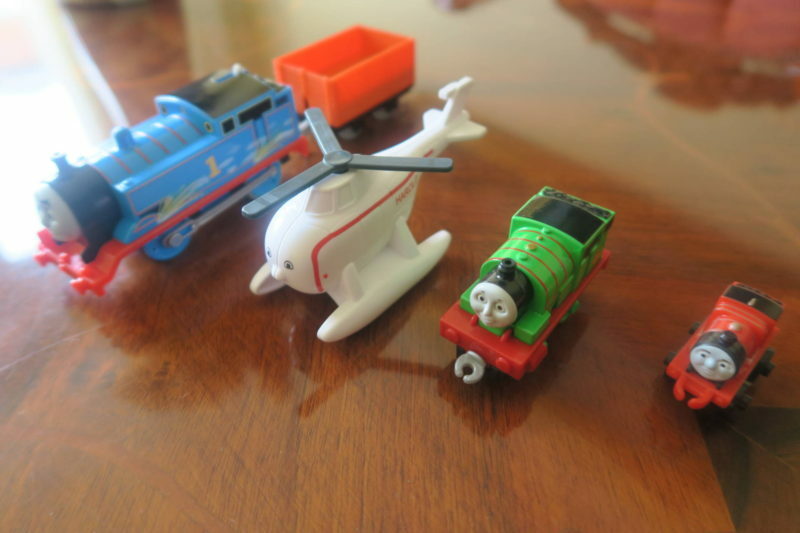 We also used wooden train toys from other sets we own. 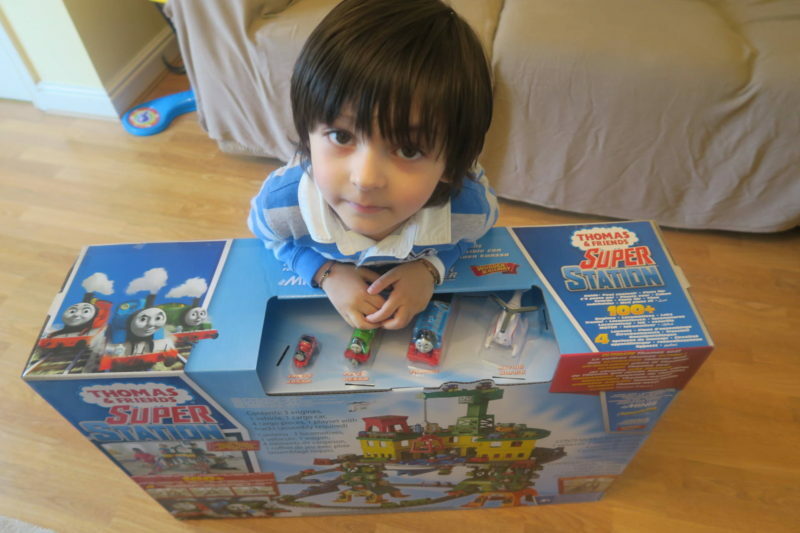 This super station retails at £129.99 and is suitable from age 3 and upwards. 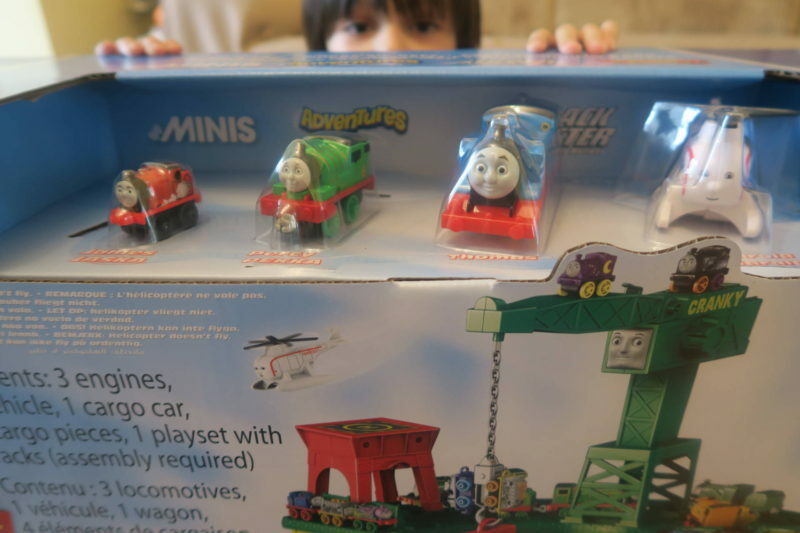 If you have little train fans living with you then this is a nicely put together set. It’s been a perfect addition for the half term holiday and a real pleasure to review. 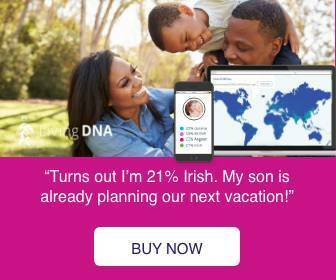 *I was sent the product in exchange for an honest review.